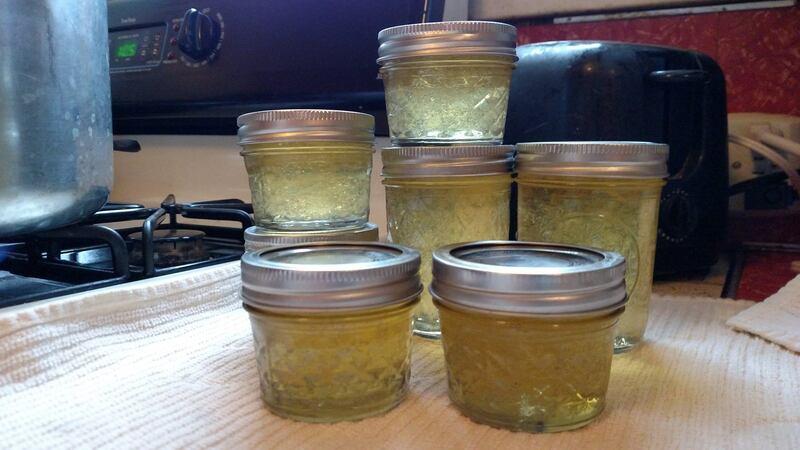 Several years ago, Evie loved dandelions, so Sara suggested we try making dandelion jelly. However, they would come Memorial weekend, and by then most of the dandelions were past blooming. So this year, I decided to make it early, at the “peak” of the dandelion season. We don’t spray, so our dandelions were safe, and we have a lot of them. There are many recipes available online, and I decided on this one, from Taste of Home. It only called for 2 cups of dandelion blossoms, what could be easier? Well, over an hour and a half of picking and separating yellow from green was not as easy as I thought. I gave a lot away to friends who couldn’t believe I was making it, and have 2 half-pints left for Sara. The recipe used a lot of lemon extract, so it tastes very lemony. If I make it again next year, I might change that a little. This entry was tagged cooking, dandelions, family. Bookmark the permalink. 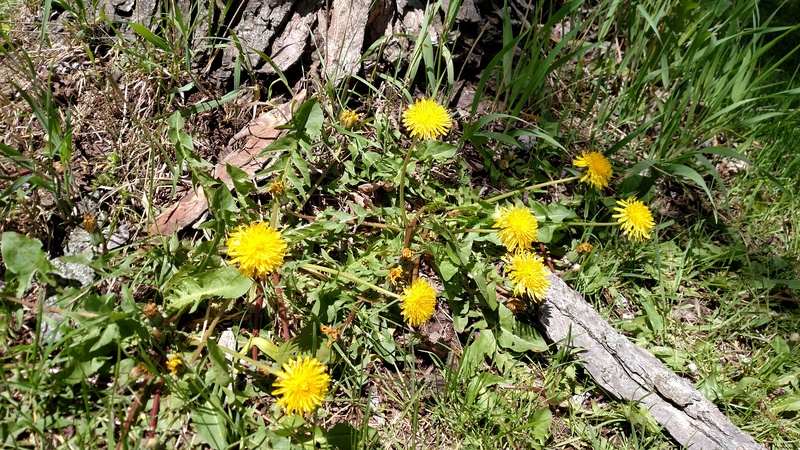 Now, you can make dandelion wine.